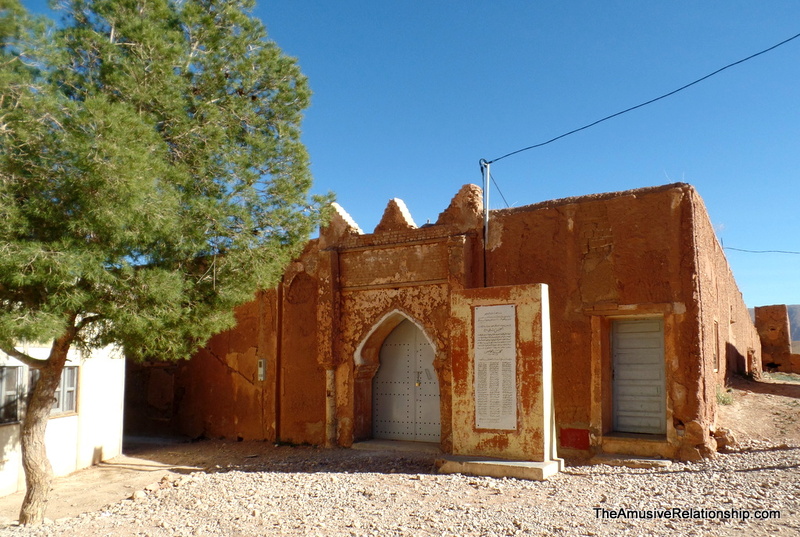 Tucked up into the Atlas Mountains near the Amazigh hotbeds of Goulmima and Tinjdad, is a remarkable little village called Aghbalou N’Kerdous. Situated near a year-long creek that provides ample water for crops, the town, despite the altitude, has been thriving for ages. The word “aghbalou,” pronounced with a slight ‘r’ after the ‘a’ so that it sounds like ‘arghbaloo,’ means “water spring” or “source” and Kerdouss seems to be someone’s name. I’d heard about the village from locals. It sounded idyllic, and it is. Many of them poke of its beauty and of its waterfall, but what piqued my interest the most, was the offhanded reference to there being an abandoned prison there. Near the end of the French occupation of what is now central Morocco, despite their best efforts to control them, the Amazigh areas were notoriously difficult to manage. While Spain fought them in the northern Rif Mountains, the French fought them in the Atlases and the deserts around them. Fiercely independent and self-reliant, the native peoples knew their land best and engaged in many successful guerrilla campaigns. Throughout the fight for independence, which it won in 1956, many rebel leaders were imprisoned. One such prison was in Aghbalou N’Kerdouss. Due to its isolation and relative inaccessibility, this prison housed some of the prisoners deemed most dangerous. Since much of the fighting was done by Amazigh tribes in their homeland, many resistance fighters who had been captured in the south were housed there. The prison itself is rather small. It was closed when we arrived. Apparently, there is a man with a key who will let people in, but we were running short of time and daylight, so we opted not to wait for people to find him. Should I travel up there again, and I just might, I’ll be sure to enter if I can. Below the list are more photos of the beautiful drive up there and the surrounding area. Dedication plaque on the former prison. In the name of Allah, the most kind and the most merciful. Under the instructions of the Commander of the Faithful, his Majesty Hassan II. In celebration of this historic summer, we imprint on this plaque in Aghbalou N’Kerdouss, the country of epics and sagas, the names of the icons of the national movement from all over the country who the authority of the protectorate had imprisoned here from the year 1952 to the year 1955, as part of the preparation of the great conspiracy against the liberator of the realm, the forgiven, his majesty Mohamed V, may God bless his soul. Aghbalou N’Kerdouss in 21st of October. In the name of the Merciful One, may colonial powers recede, may the global community recognize the worth of indigenous people. Fascinating post, Tom, and great photos. Thanks.